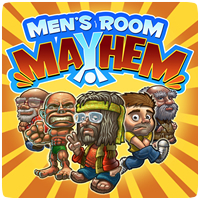 Men’s Room Mayhem is the newest game to come from developer Sawfly Studios for the PS Vita. As the janitor, your goal is to direct patrons to the urinals or toilet, and keep them from getting into fights. You can score extra points by using proper etiquette and good hygiene. 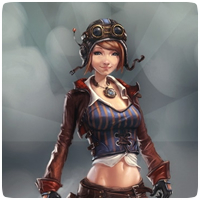 The game has 14 trophies to unlock, including one gold and two silver trophies. 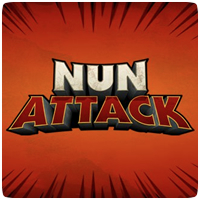 Nun Attach was released on the PS Vita this week in North America, and will be coming to Europe next month. Trophy hoarders will be happy to know that the game has 15 trophies to unlock, including 6 silver trophies. For a low price of $2.99, this is definitely a game worth investing in. Check out the trophy list for the game below. 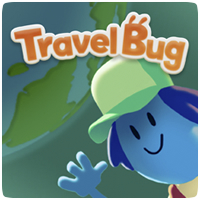 Recently released free app for the PS Vita, Travel Bug, has 8 trophies to unlock, including two gold and two silver trophies. Most of the trophies are pretty easy to unlock in a short about of time without much effort, which should please trophy hunters. More trophies are likely to be added to the game via DLC. 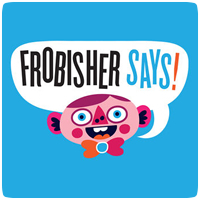 Party game Frobisher Says! 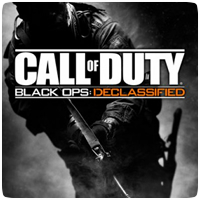 has 10 trophies to unlock in the basic game, but the two additional DLC packs also include 4 additional trophies each. So far, the game has a total of 18 trophies to unlock, consisting of one gold, six silver and the rest bronze trophies. Chronovolt is a fiendish 3D puzzle-platformer “marble game” in which the player has to guide his Chrono Sphere through the twists, turns and traps and hazards of Escher-like arenas. The game is one of the first titles to be available in the PS Vita’s Instant Game Collection, available to PlayStation Plus members. The game has 9 trophies, including one gold and six silver trophies. Black Ops: Declassified on the PS Vita has 34 trophies to unlock, including a Platinum, four Gold and a massive 11 Silver trophies. However, it looks like the Platinum trophy will be quite difficult to obtain, requiring skill from the player is many of the game’s missions and operations. Are you up to the challenge? 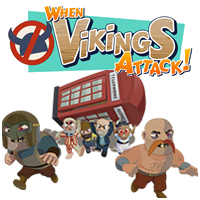 Cross-play and cross-buy compatible PSN title When Vikings Attack has 13 trophies to unlock, including one gold and three silver ones. The gold trophy acts as sport of a platinum trophy, and is only unlocked when all the other trophies have been unlocked. 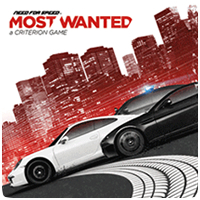 Need for Speed: Most Wanted on the PS Vita has a total of 47 trophies, including a platinum, 2 gold and nine silver trophies. The open-world racing game was developed by British games developer Criterion Games and published by Electronic Arts. Criterion have managed to cram a full console game into the PS Vita. 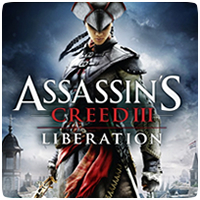 Assassin’s Creed III: Liberation is the first title from the Assassin’s Creed series to be released on the PS Vita. The game has a massive 45 trophies to unlock, including a platinum, a gold and 21 silver trophies. 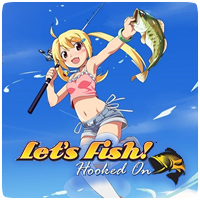 The game releases this week, exclusive to the PS Vita, in North America and Europe.